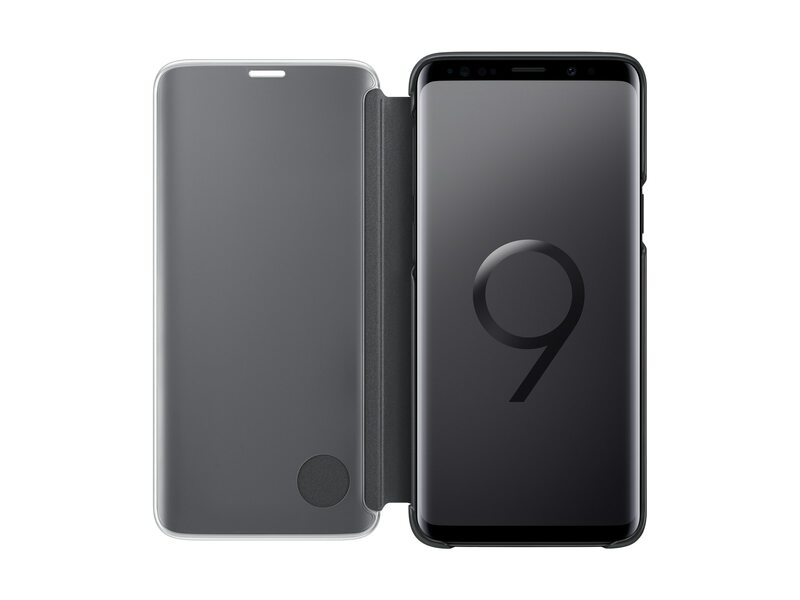 The Samsung Galaxy S9 S-View Flip Cover enables you to see and interact with your phone screen through the front of the case. Respond to incoming phone calls, alarms and events even while the cover is closed. 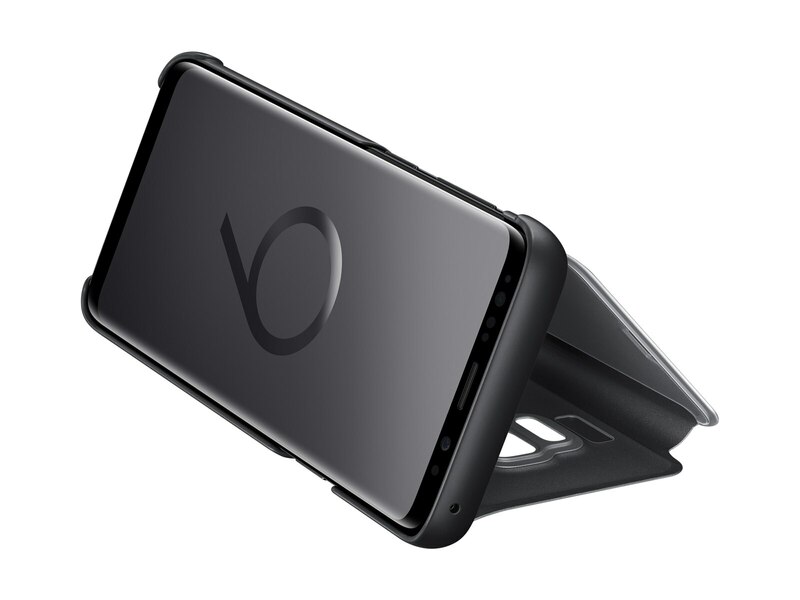 With a built-in kickstand to prop the phone up, you can show off the full screen whether your cover is open or closed. 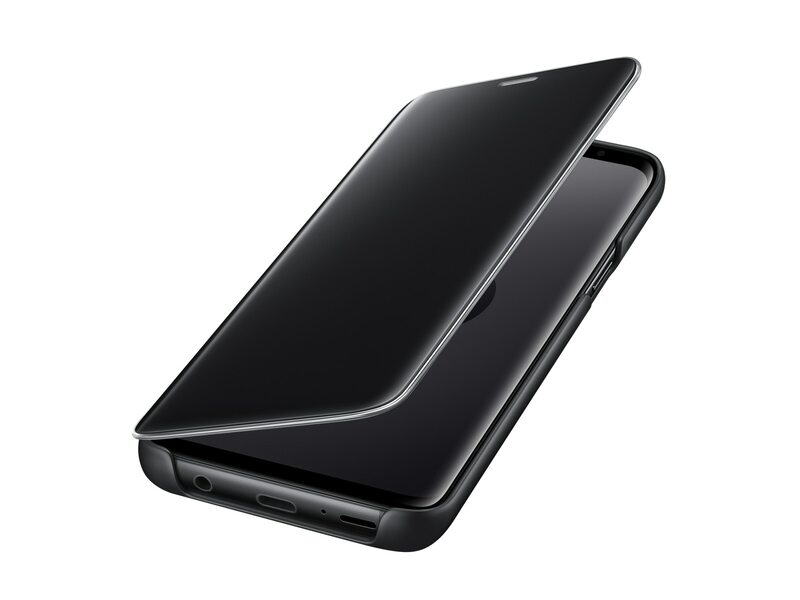 Comfortably enjoy the full view of the Infinity Display with your Galaxy S9 in the S-View Standing Cover. If you want to go hands-free during a movie, simply fold the cover back to prop up your phone into an optimized landscape viewing angle. It's simple to answer calls, control your music, and more—all without opening the cover. Tap and swipe as needed, and even read important information like time, date, and battery level. Shield your phone from all sides with this shell-type design. It securely holds your phone to guard the back, while the attached flap covers the front to help prevent screen scratches when it's in your bag or pocket. 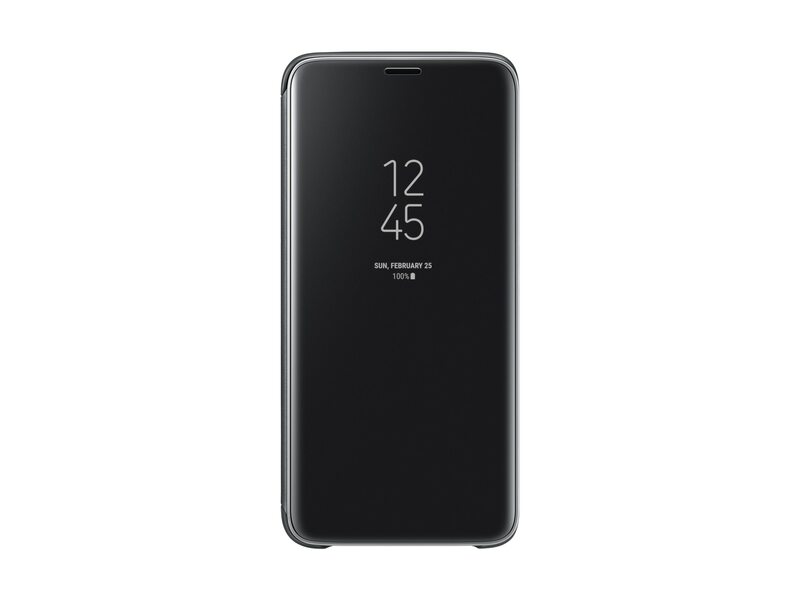 © 2017 Samsung Electronics America, Inc. Samsung, S-View, Galaxy, Galaxy Note are all registered trademarks of Samsung Electronics Co., Ltd. Other company names, product names and marks mentioned herein are the property of their respective owners and may be trademarks or registered trademarks. Actual appearance of product may vary. Enclosed items imported; see each item for country of origin.